When it comes to donating clothing when you no longer want to wear it, there are several different routes you can take. The first is to give clothing away to an entity that will give it to those who are in need. The second is to try and sell it. And the third is to simply throw it out. It is our hope that you will choose to go with the first option. However, we know this is not always the case. While you may think you are not contributing to a lack of clothing for those in need, we would urge you to reconsider. After all, there are many people out there who can use this type of assistance. 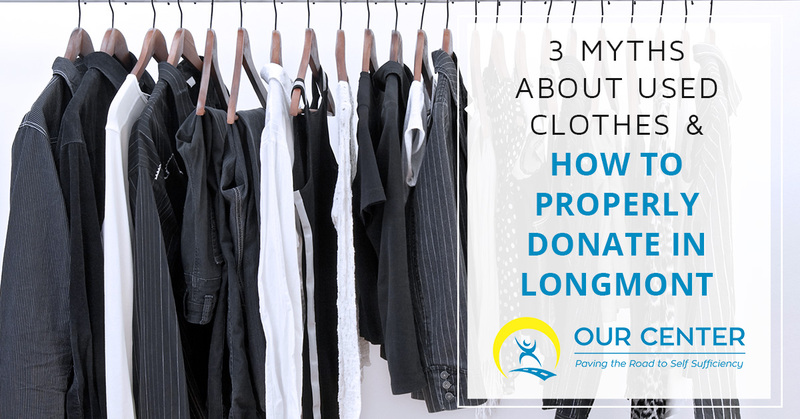 Considering this, we have compiled the most common misconceptions about donated clothing and given more accurate information regarding them. Continue reading below to learn more. MYTH 1: Americans donate or recycle the majority of the clothing they do not want. There are plenty of socially conscious ways in which Americans can dispose of clothes that they no longer want. Unfortunately, the majority of people choose to through them away, even with a number of other options. In fact, it is estimated that Americans choose to get rid of about 70 pounds of textiles every single year. 85 percent of these materials end up in a landfill. This means that there are nearly 14 million tons of clothing that is being wasted annually. Only about 2 million tons are disposed of properly or donated. MYTH 2: People in the United States don’t need used clothing. While there are plenty of people outside of the United States who are in desperate need of clothing, there are also many people in the United States that do as well. Many people assume that because we are not a third world country, that the residents of the United States have the money they need to go about their daily lives. However, in the case of someone who is currently unemployed, for example, if they do not have access to proper interview clothing, how are they expected to stand a chance against other candidates? It is absolutely true that clothing is needed greatly in countries like Tanzania and Zambia, but donating to local clothes drives and community centers is absolutely appreciated. MYTH 3: Charities give away all the clothing they receive. This is probably the most widespread myth about clothing donations and it continues to persist even still. The truth is that there are many charities that collect used clothing on a regular basis that do provide it to the communities that they serve. OUR Center is one of these places. We take the clothes that are donated to our community closet and offer them to people who are not able to buy new at the time. It is our hope that providing those who need clothing with it will lead to them being able to accomplish things that they otherwise may not have been able to. Whether it means feeling more confident in an interview or just having the ability to wear multiple outfits in a week, we pride ourselves on being able to adequately give back to the Longmont community. If you are interested in donating to our community closet, contact us today!